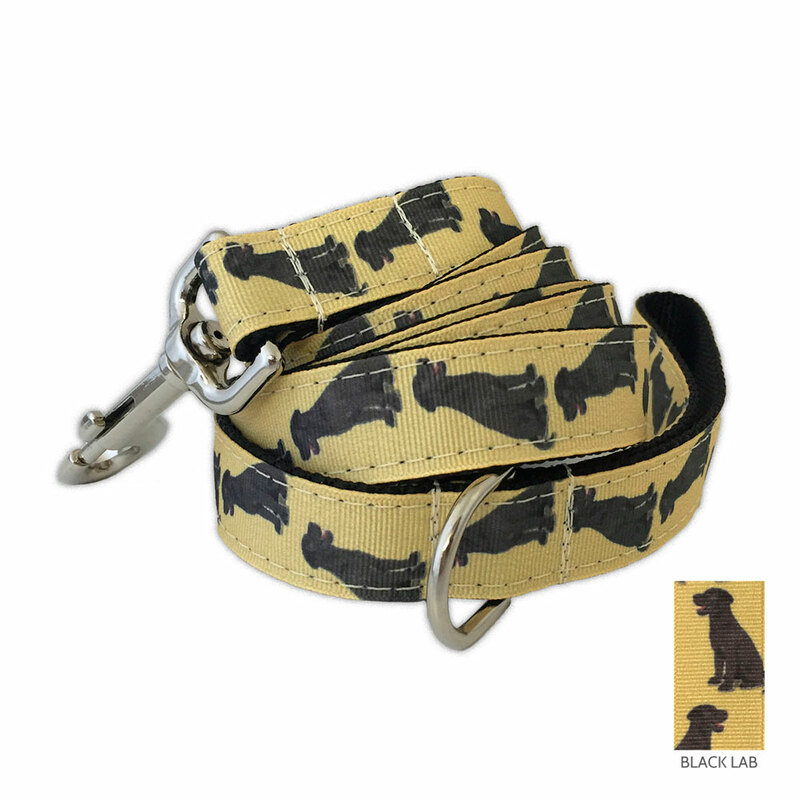 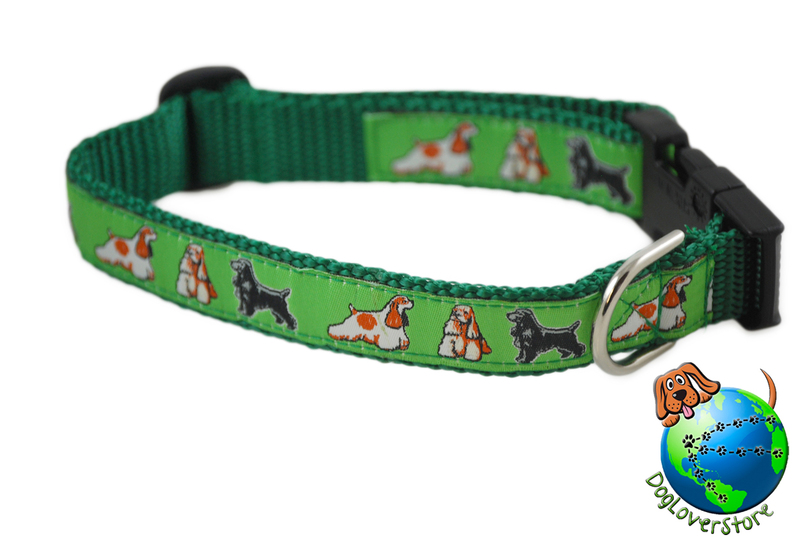 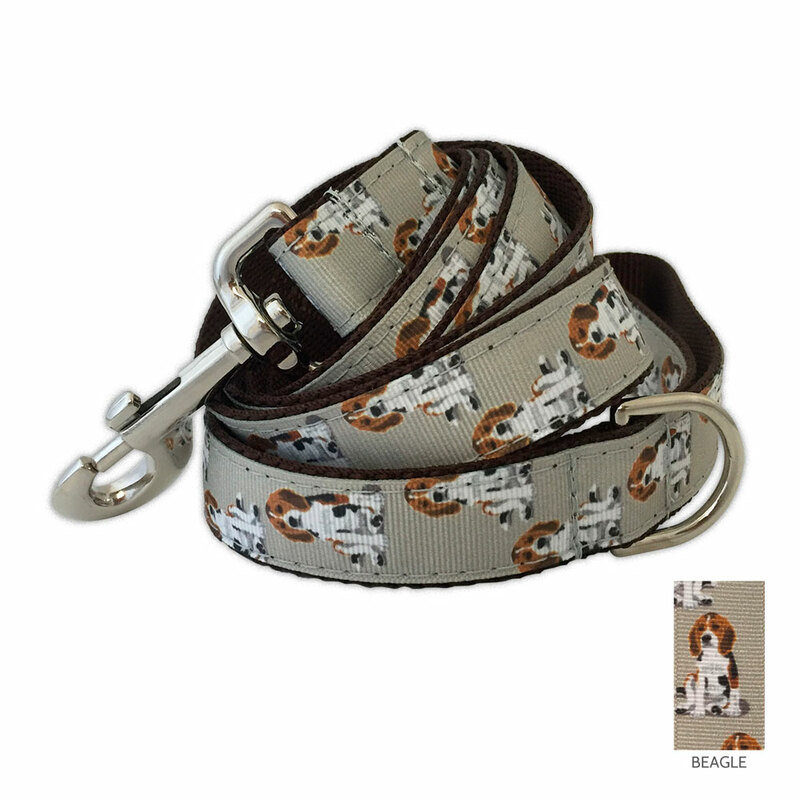 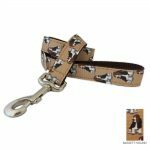 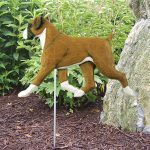 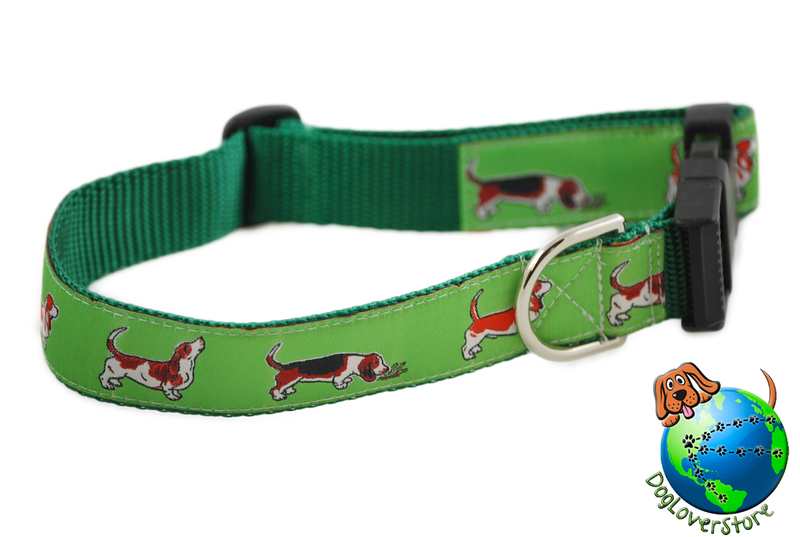 Basset Hound Leash 6 Ft.
Our dog breed collars are special for a few different reasons. 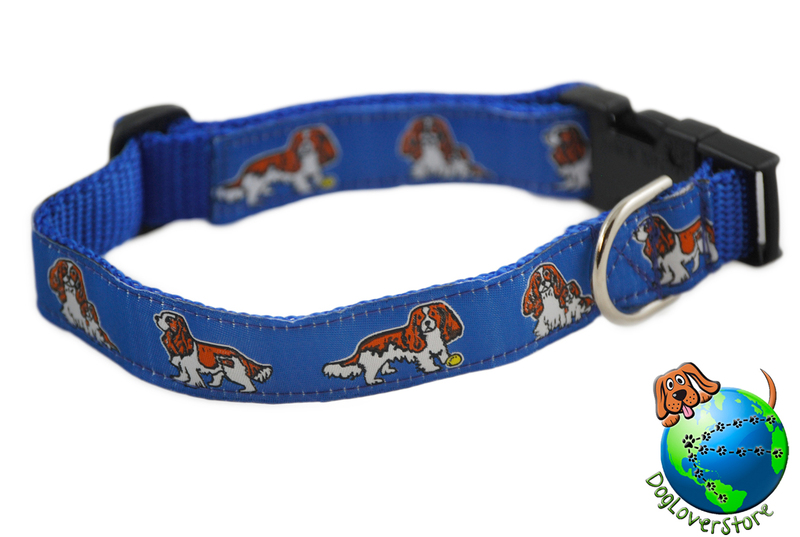 First of all, they are manufactured in the United States and are made with quality in mind and attention to detail. 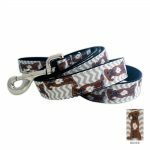 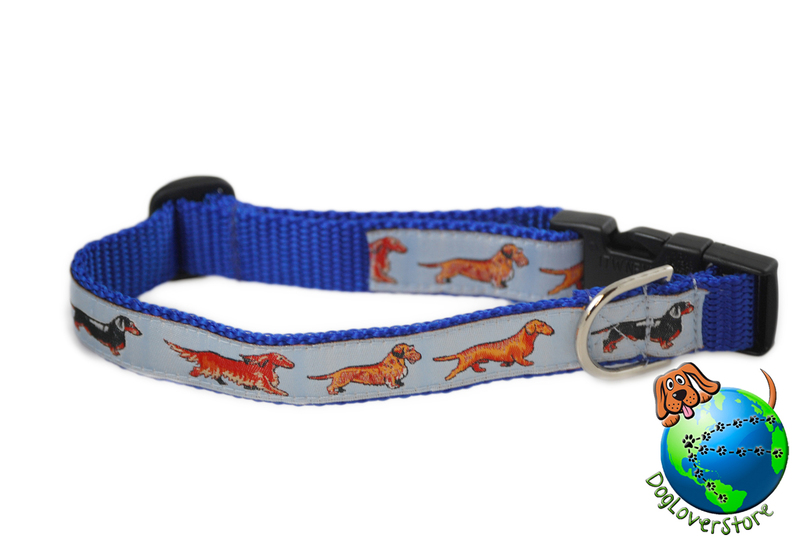 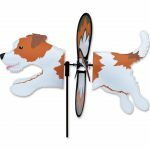 Size depends on the dog breed collar you are looking to purchase. 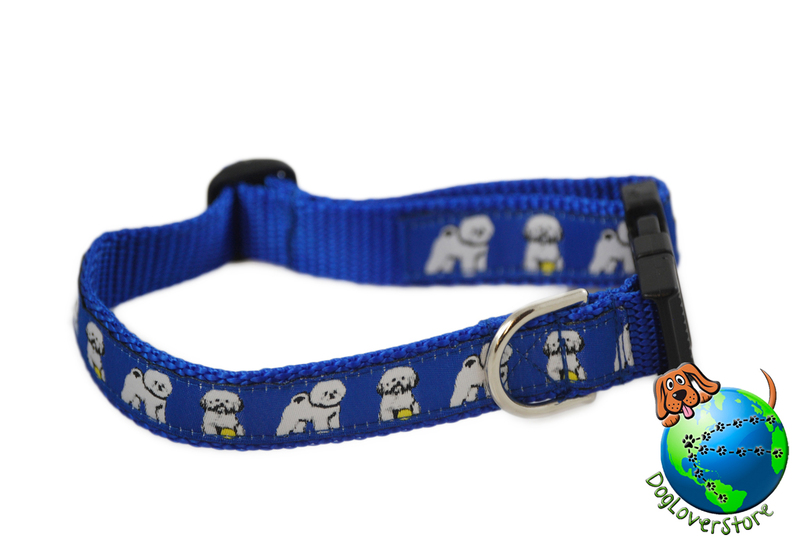 The research has already been done for you! 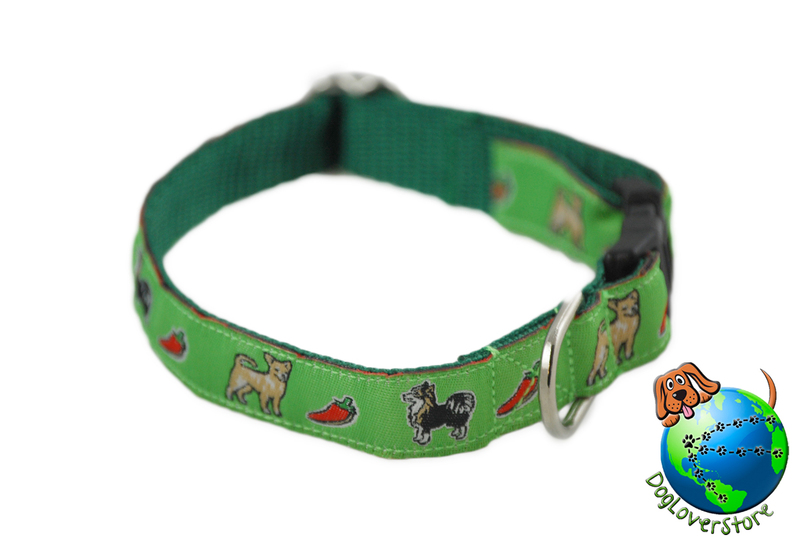 For example, if you were purchasing a Chihuahua collar, that would be a size small and is already sized for your Chihuahua. 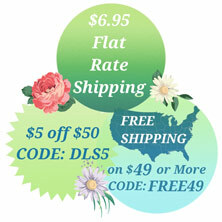 There is no need to guess which size you will need to order only to find out it doesn't fit and needs to be returned. 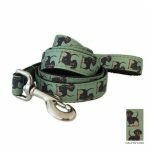 Each collar is adjustable as well and is illustrated with your favorite dog breed, colors, symbols of origin and dog group. 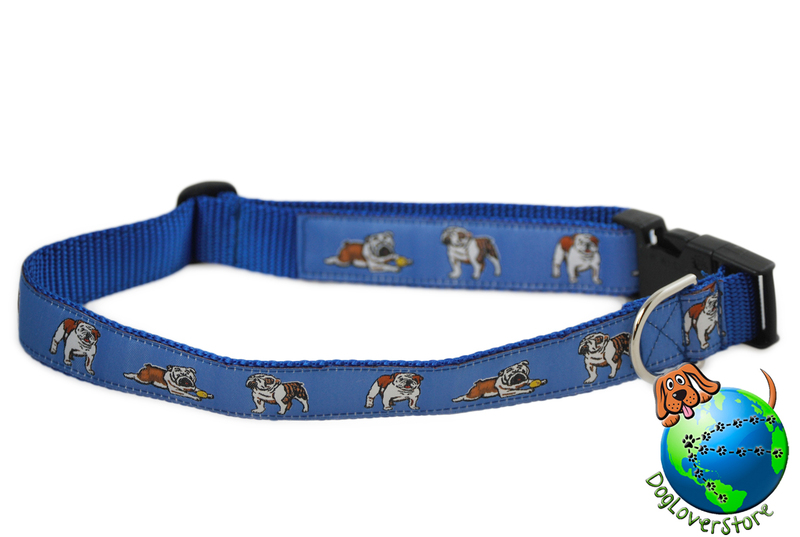 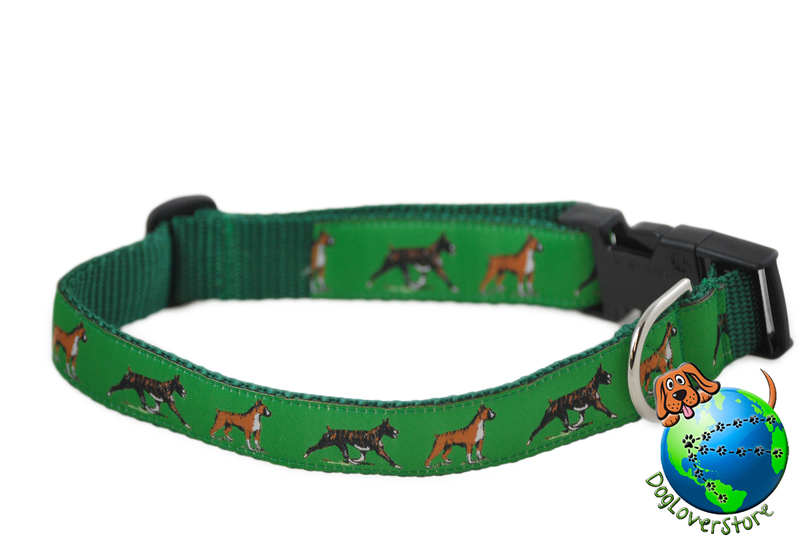 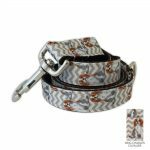 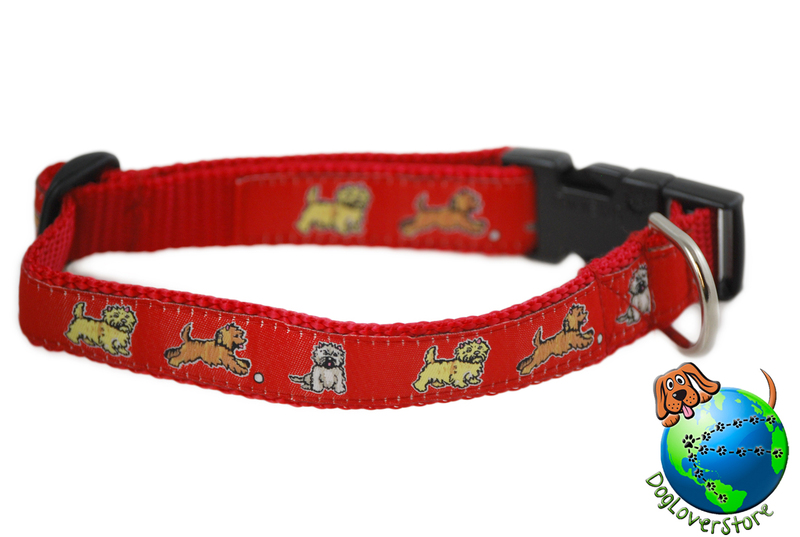 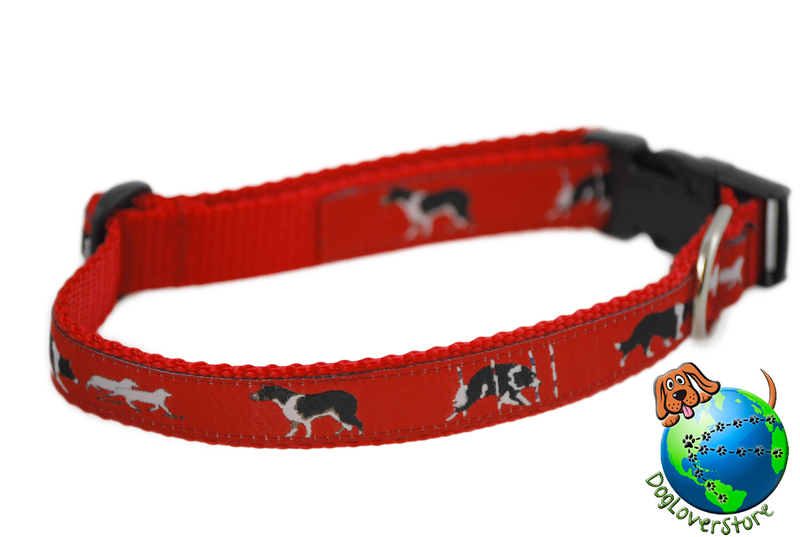 Our dog breed leashes are made with the same quality as our collars. 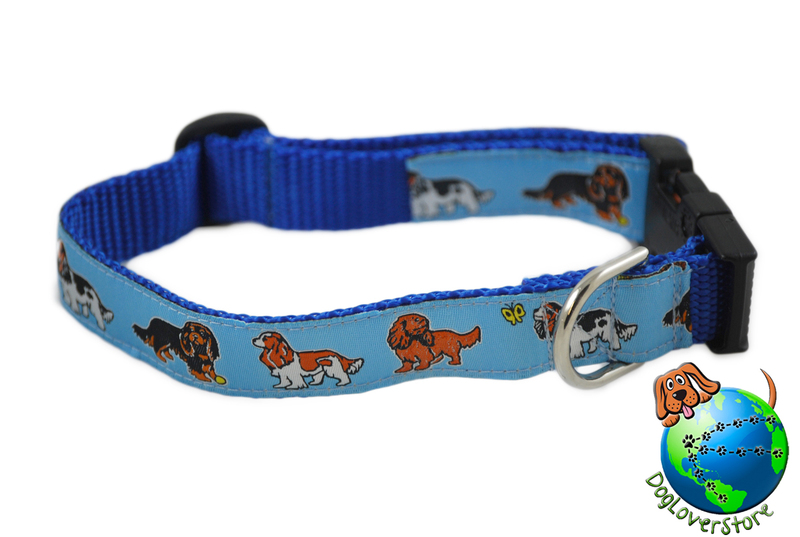 Each leash is also made in the United States. 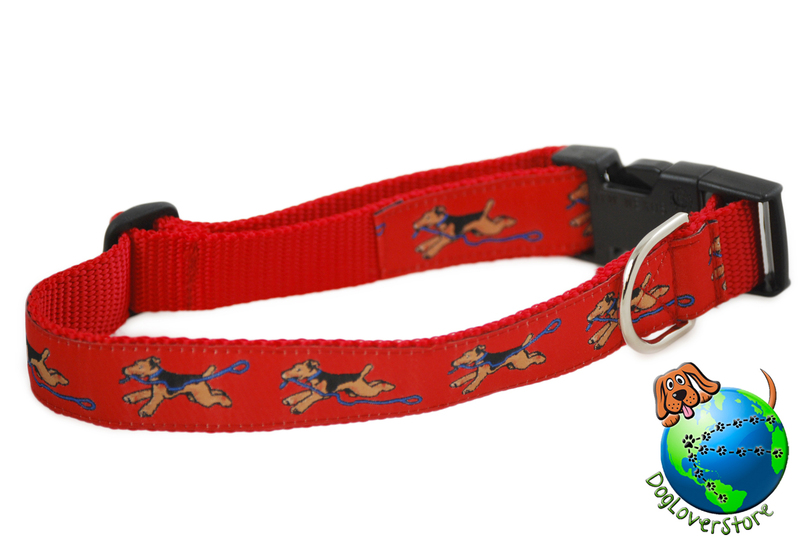 They are constructed of solid webbing with a zinc swivel eye snap hook for easy attaching and removal. Our leashes are 1 inch wide and 6 feet long.